When and where do you seek help? Minor injuries are relatively common in children. With their tendency to climb things, fall off things, bump into things and each other cuts, bruises and mild strains are likely with this group. The difficulty can be working out when to be more concerned and to seek medical advice. There are no hard and fast rules. Sometimes there might be obvious signs such as the quick onset of swelling, limping, protecting or avoiding movement, maybe a limb or joint looking odd or out of shape, perhaps a complaint of pain going on longer than you’d expect. Often it is subtler though and the greatest guide can be parental opinion. You know your child best in terms of their tendency to be upset after hurting themselves, the frequency of reporting injuries, ability to push through or mask things if they want to play or take part in sport. Any alteration in these behaviours can be a good guide as to whether something more serious is going on. You also have the dilemma of who to seek help from. If there has been a fall or other form of trauma, if the child is very distressed and/or there are visible signs of injury then your local Accident and Emergency or Minor Injuries unit should be the first port of call. In cases of head or brain injury and/or loss of consciousness then A&E is the only option. For less serious or urgent injuries, your GP is a good starting point. Although you might be fairly sure this is a musculoskeletal injury, your doctor is the best person to rule out medical causes and also to order x-rays or blood tests. If indicated they can also prescribe pain-relieving medication. A common mantra in medical fields is that “children are not just little adults” They are much less likely to suffer things like back or neck pain, long-term joint aches etc. with no obvious cause and it is always important to rule out medical causes first. Once these have been cleared then your GP may well recommend that you see a musculoskeletal specialist. The following are a list of common, but more serious musculoskeletal conditions affecting children These may need to be treated either by hospital doctors or an expert practitioner such as a Physiotherapist specialising in paediatric conditions. Where do I take my child for less serious conditions? Other, less serious conditions can be treated in a clinic or outpatient setting. For children under 16 years of age, there should always be a parent or guardian present and the approach to treatment should be adapted to be suitable for the child’s age and condition. Some children are excellent, for example at reporting their own medical history, some need help from their parent or guardian. Some might find the environment intimidating and it is important to explain very clearly to children what you are going to include in your assessment and why. As practitioners, we also need to be realistic when prescribing home exercises in terms perhaps of the understanding of a young child or the motivation of a teenager! How can we help at Courtyard? At Courtyard, we see children for all sorts of conditions. Our Physiotherapists and Chiropractors see youngsters with knee and ankle problems such as Severs and Osgood Schlatters, as well as older children with back problems, often with hunched shoulders, tight pectorals and forearms from studying/gaming! 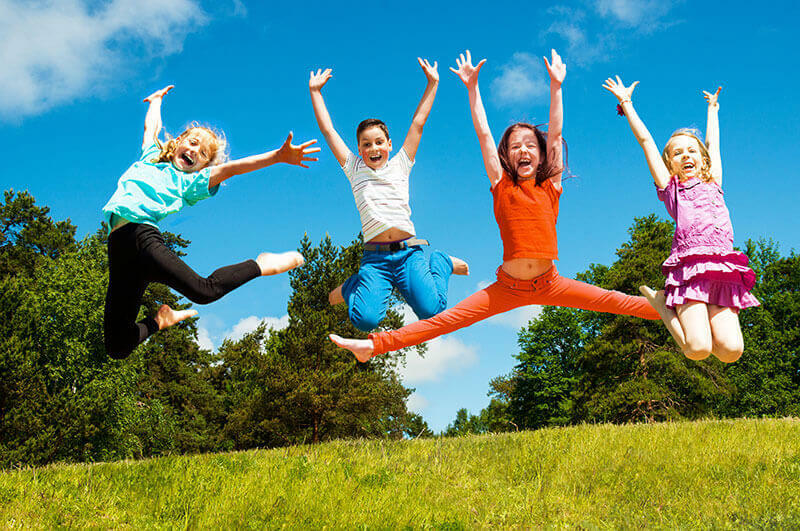 Our Podiatrist sees many children for foot and ankle issues affecting their biomechanics. Verrucas and ingrown toenails are regularly seen and treated by our Foot Health Specialist. If you are at all worried about a condition affecting your child but not sure how best to tackle it, give us a call. We will advise you as to when and where to seek treatment. If someone at Courtyard can help, we’ll be very happy to see you with your child for an assessment. If we feel that you would best be seen in a different location or by another practitioner, we’ll advise you and make recommendations for this.